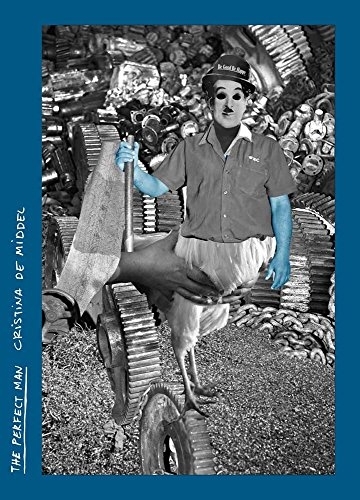 Book of the Week Book of the Week: A Pick by Forrest Soper Forrest Soper selects The Perfect Mann by Cristina de Middel as Book of the Week. The Perfect Man By Cristina de Middel. La Fábrica, 2017. Forrest Soper selects The Perfect Man by Cristina de Middel from La Fábrica as Book of the Week. "At the age of 16, Ashok Aswani skipped his job to see Charlie Chaplin’s Gold Rush in the theater. After watching the film five times in a row, Aswani left his job with a newfound purpose in life. 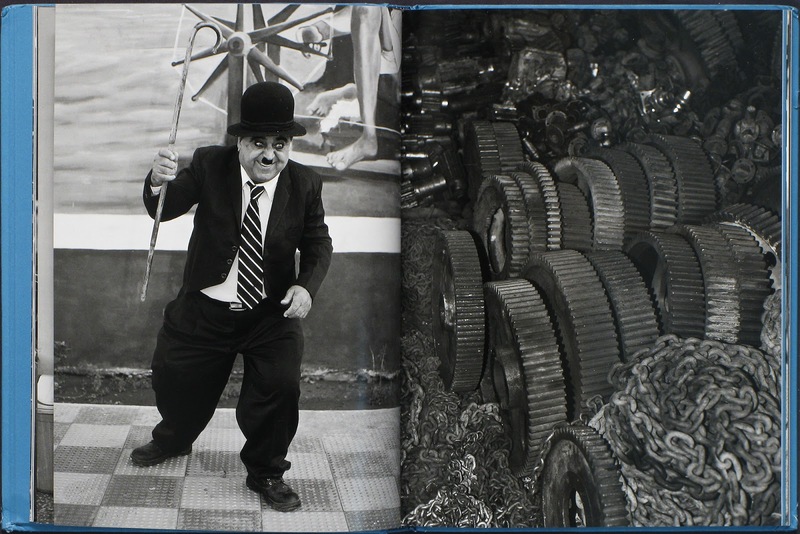 47 years later, he is now a practicing doctor and the head of the Charlie Circle, a fan organization that celebrates Chaplin’s life with the largest Chaplin impersonator parades in the world. This cultural phenomenon serves as the backdrop for The Perfect Man, the latest publication from Cristina de Middel. Using Chaplin’s film Modern Times as a loose storyboard, de Middel uses Aswani’s Chaplin legacy to examine masculinity in Indian society. Looking at the notion of the perfect man and ‘Asli Mard,’ de Middel questions what the ideal man should be. She pairs photographs of Chaplin impersonators — with their cardboard masks and painted mustaches — alongside factory workers whose skin has been colored blue in an act of religious symbolism. 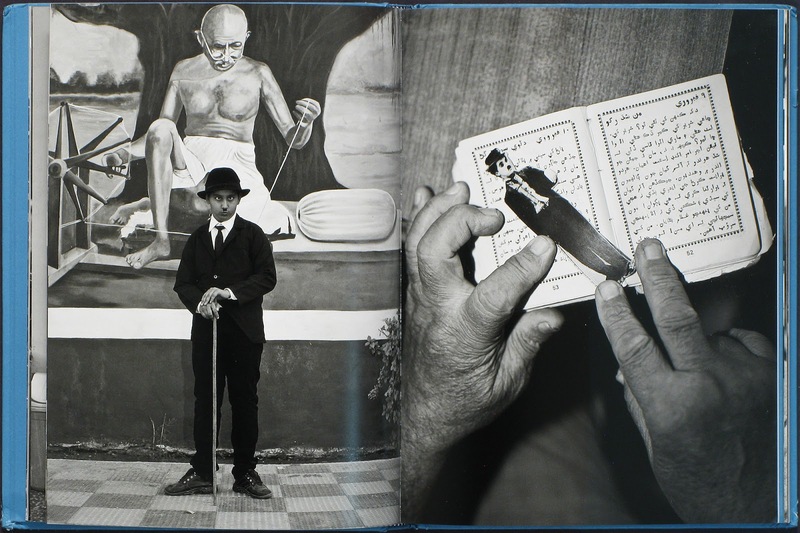 Medical photographs are inserted throughout the book, as well as found vernacular portraits of men. Drawings of hands and photographs of women speak to the interactions between genders and cultures in Indian society. Humorous, surreal, ironic, contemplative, and multifaceted, The Perfect Man is an incredible publication. Cristina de Middel looks at Indian masculinity as an outsider, yet manages to create something that speaks honestly without imposition. Is the perfect man one that works hard to lift his family and country up economically or one who lives to pursue happiness and inspire joy in others? What does the perfect man physically look like? Can the perfect man even exist if women are not seen as equals?